Silicon Valley electric car pioneer Tesla (s TSLA) plans to stop production of its first electric car, the Roadster, in December 2011, according to a filing. The news of a set deadline for the end of manufacturing of the Roadster emerged in a document Wednesday morning that detailed how Tesla plans to raise another $214 million in a combination of a follow-on public offering and a private placement, with shares bought by Tesla CEO Elon Musk and a subsidiary of Daimler, Blackstar Investco. Tesla’s substantial gap between when it planned to end production of the Roadster and when it will begin selling its next car the Model S, or a next-generation Roadster, has been known for some time. 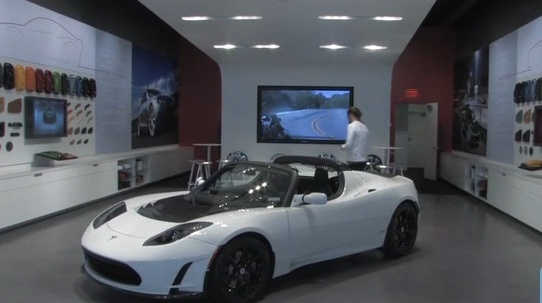 But this is the first time I’ve heard the actual month it will stop producing, and the fact that Roadster manufacturing will stop within 2011 (not 2012). Tesla will still sell the remaining inventory of Tesla Roadsters that it will have produced by December 2011 with the help of Lotus in the first half of 2012. Tesla has a deal to purchase 2,400 partially assembled “gliders” from car company Lotus to make its Roadster car, and as of March 31, 2011, Tesla had delivered around 1,650 Roadsters, leaving approximately 750 vehicles left to sell. As of March 31, 2011, Tesla had accumulated deficit of $463.9 million. If Tesla has delays in launching in Model S in 2012, or is unable to draw down the anticipated funds from its DOE loan facility, through 2012, Tesla could be in real financial trouble. Tesla anticipates its total capital expenditures for the remaining three quarters of 2011 and all of 2012 for the Model S and Model X, will be in the range of $330 million to $370 million. Lotus is retooling their plant for new models kicking the fabrication of these chassis out. @roz. The original deal with Lotus was only for a certain amount of chassises. While I’m not sure of the real reason for why the deal wasn’t renewed, either Lotus didn’t find it in its best interests financially to renew the deal, or Tesla wanted to move quickly into making a more mainstream sedan. Does not really explain why they would stop the sale of the roadster to begin with. Do they lose money on them? Can they not get more chassises from Lotus?